Policies are known to have a positive impact over crimes in states or countries for which they are applicable to. There are some discerning impacts of policies of one state to another state. 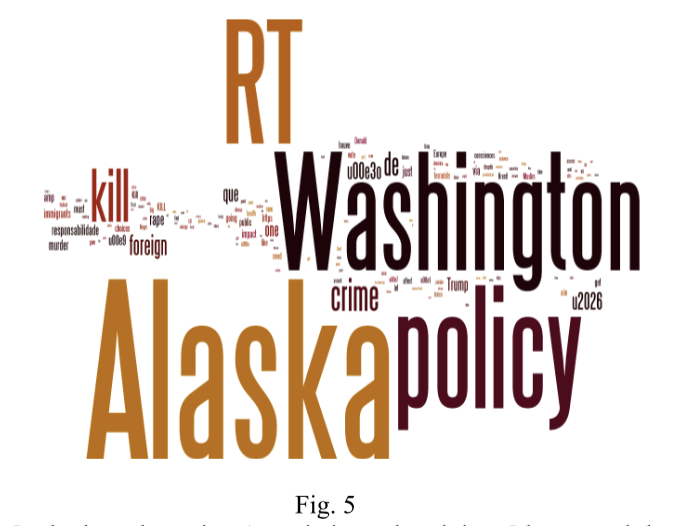 After analyzing tweets using twitter APIs based on crime and policies in seven different states, we’ve got the same results for Washington D.C and Alaska. In this project, we propose a technique to analyze the effect of interstate policies. 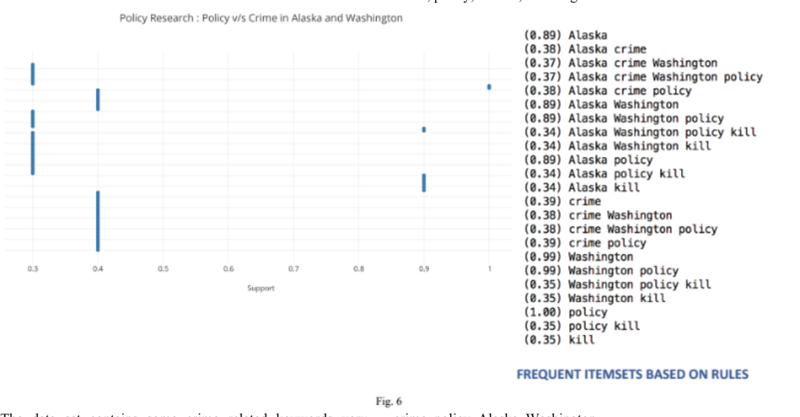 The result we have achieved shows 89 percent effect of Washington policies over Alaska while 34 percent effect of Alaska crimes over Washington. We have applied various threshold techniques for different algorithms in order to achieve high accuracy results which is presented though various visualization techniques.